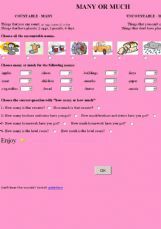 This exercise is for students that are starting to learn the concept about countables and uncountables. I hope it´s useful. Tejames.